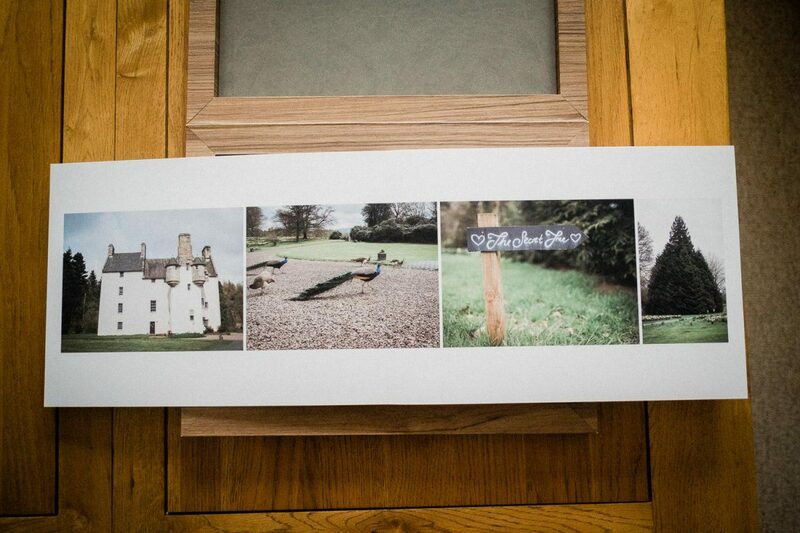 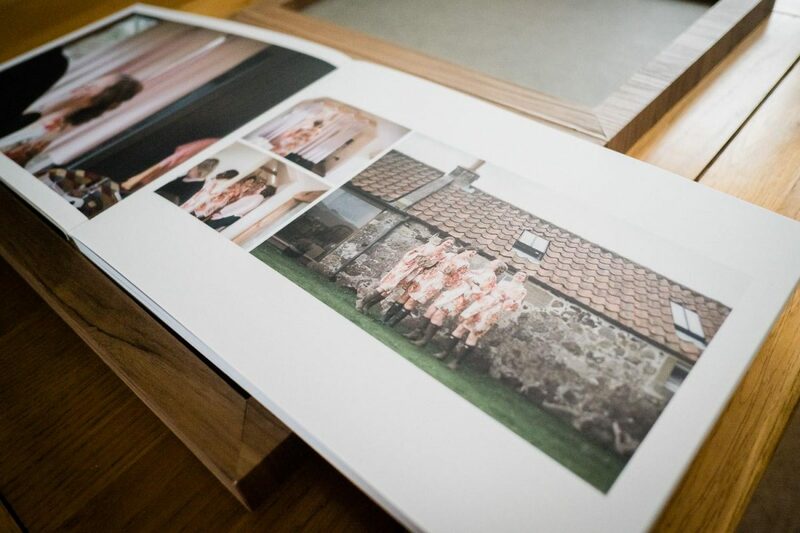 Fiona and Craig chose the contemporary wedding album. 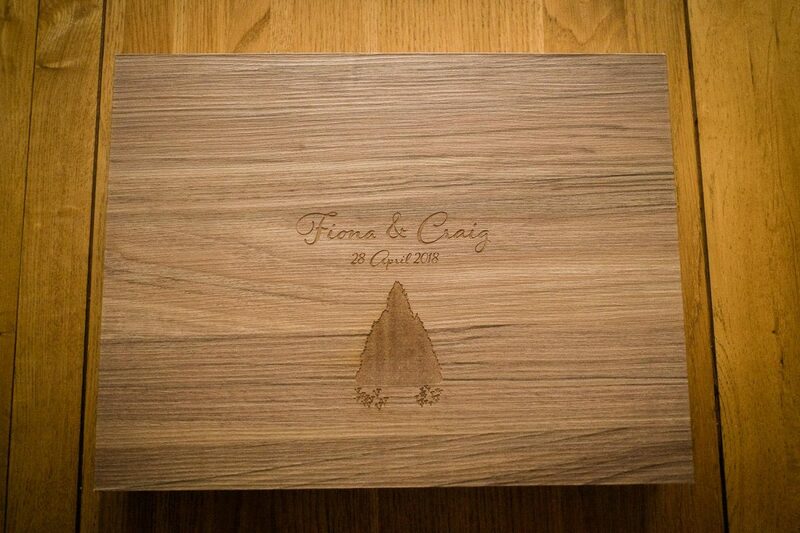 The album cover was made in maple effect material and the presentation box in wood. 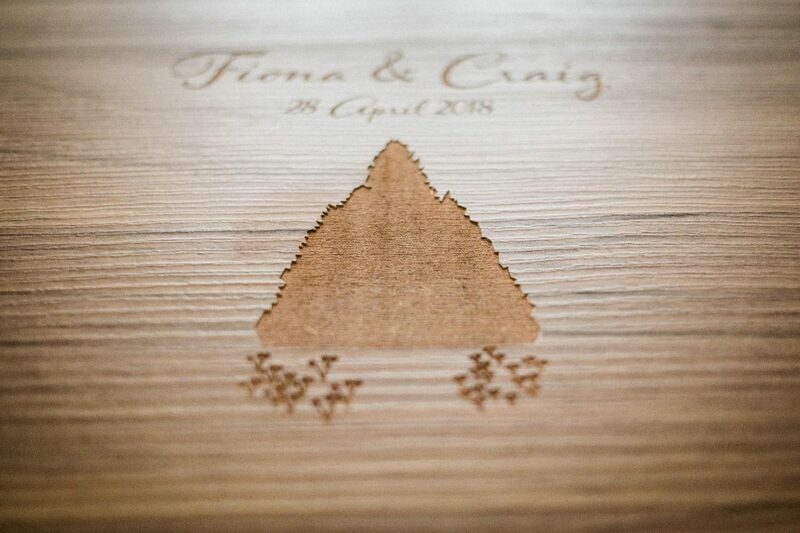 The design on their presentation box was a hand drawn illustration of the cathedral tree the were married in, laser engraved on to the lid. 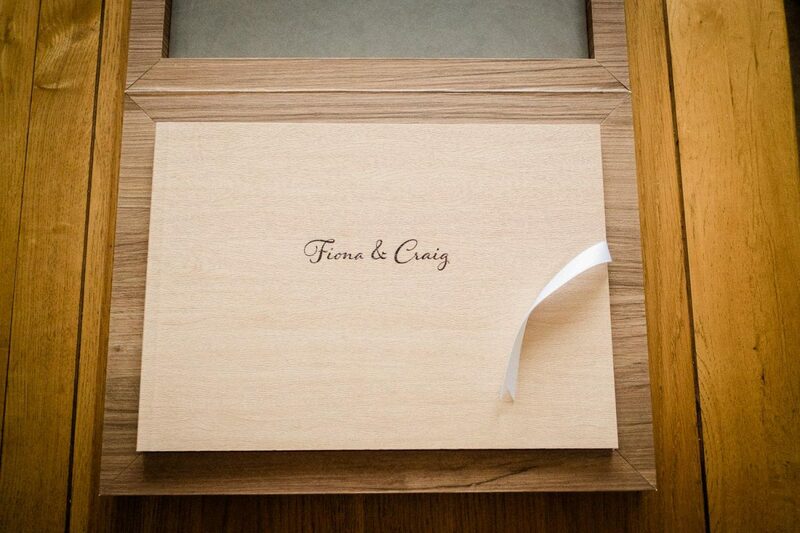 Inside the finish was a warm grey leather to compliment the warm wood colours of the wedding album and presentation box.